In 1968, CEDIT – Ceramiche d?Italia asked brothers Achille and Pier Giacomo Castiglioni to design “ceramic objects for small-scale production,” with the request to keep both the height and width of each to less than 25-30 cm. The pair came back with the LAPIS vase in three sizes that was unlike anything they’d seen before. The irregular shape results in a three-dimensional sculpture whose silhouette changes from every viewpoint. To mark not only the 50th anniversary of the design but Achille Castiglioni?s 100th birthday, CEDIT has brought LAPIS back to life with “accurately reproduced” vases in the three original sizes but with an updated choice of colors. 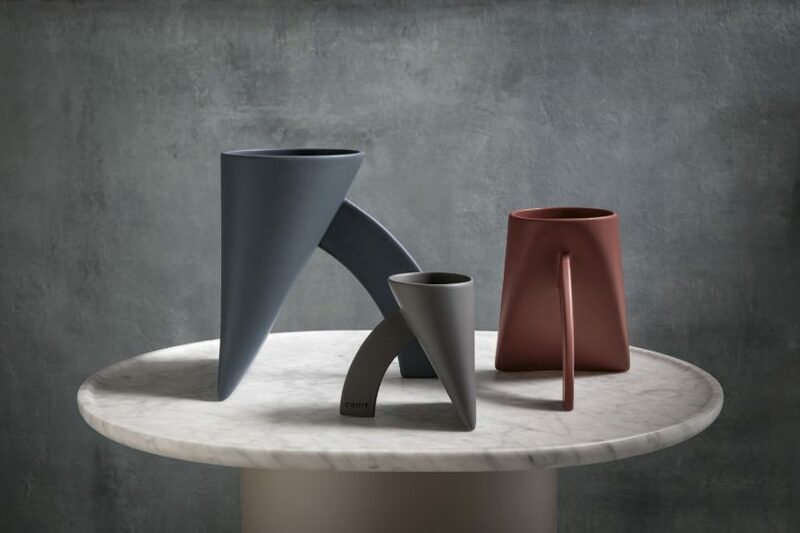 The beauty of the LAPIS vase (which was named after Achille’s family’s dog) is in a series of juxtapositions, from slim and solid, heavy and light, to stable yet unstable looking from various angles.